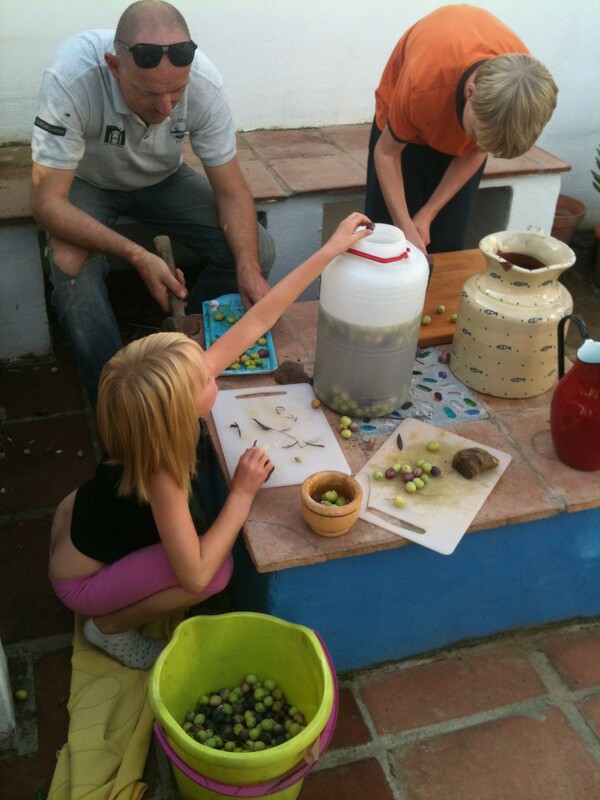 olive curing | La Rosilla - Lifestyle and food. and give it a new look, gosh that took some time, much more than I’d planned. So my scribblings about life on the mount, have been out of the window for a while. Although not putting my happenings in type, they’ve still go on..never a dull moment on the mount. So while flowers come back to bloom after fresh rains, Autumn brings with it some mountain house keeping, and preparations for the months to come. 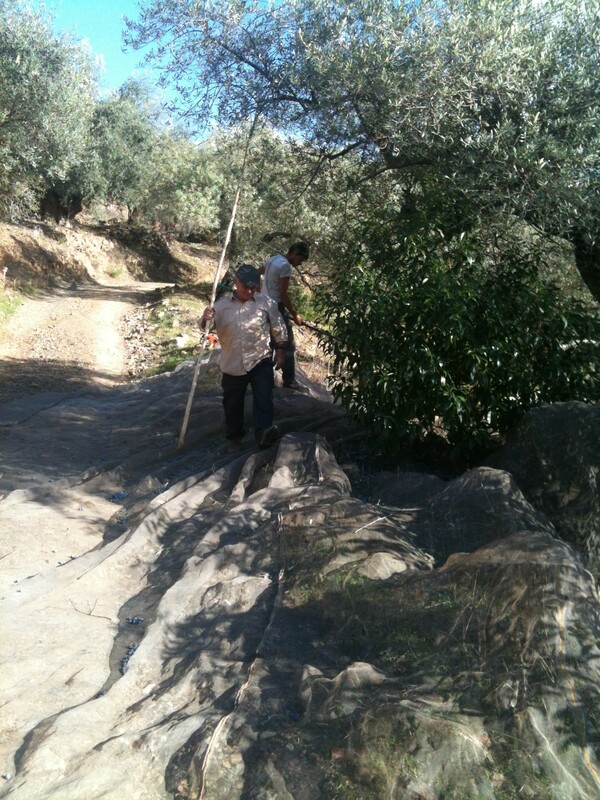 Living in our own olive grove, with some 50 trees scattered precariously on rockie ledges and hard to reach places, the annual task of pruning and harvesting the olives, isn’t one we look forward to with relish. So this year when our neighbours , offered to do the job in exchange for oil. We jumped at the chance. The Mulos, had flattened the areas under the trees a few months before ( Think the neigbours were planning ahead) so two days later, after they proposed their question, our trees were plucked, shaken and pruned. We kept one tree for ourselves for eating olives. 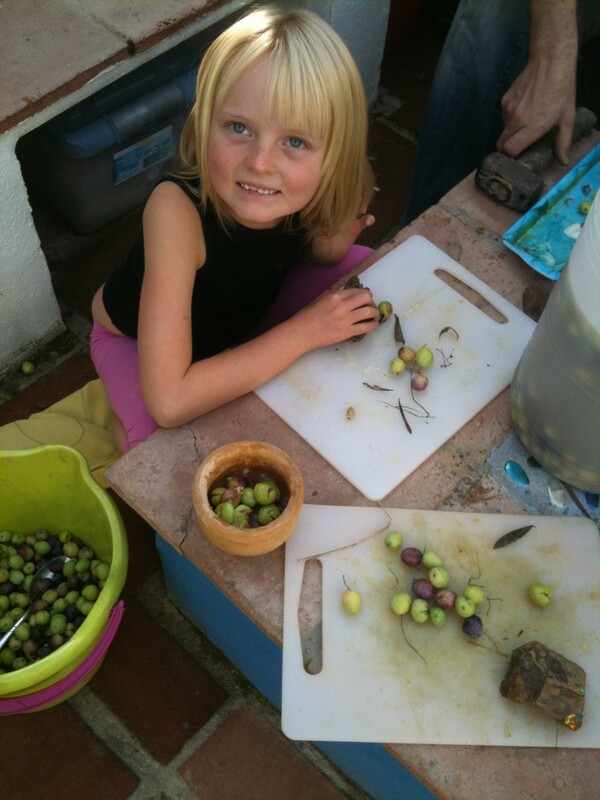 We have a lovely old Hojiblanca tree, whose olives are too beautiful to press. 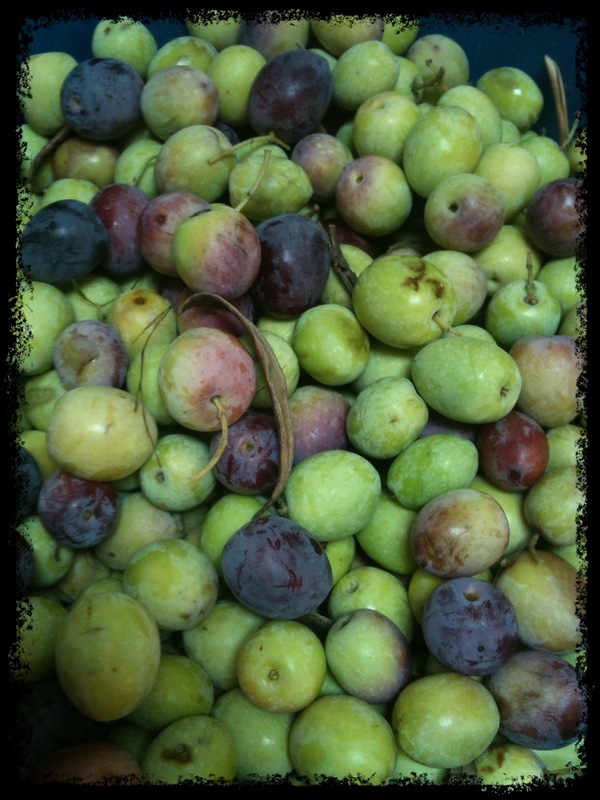 A big bucket load was gathered, then each olive was bashed by hand, by all the family, a laborious hand aching job, taking care not to crush the stone. 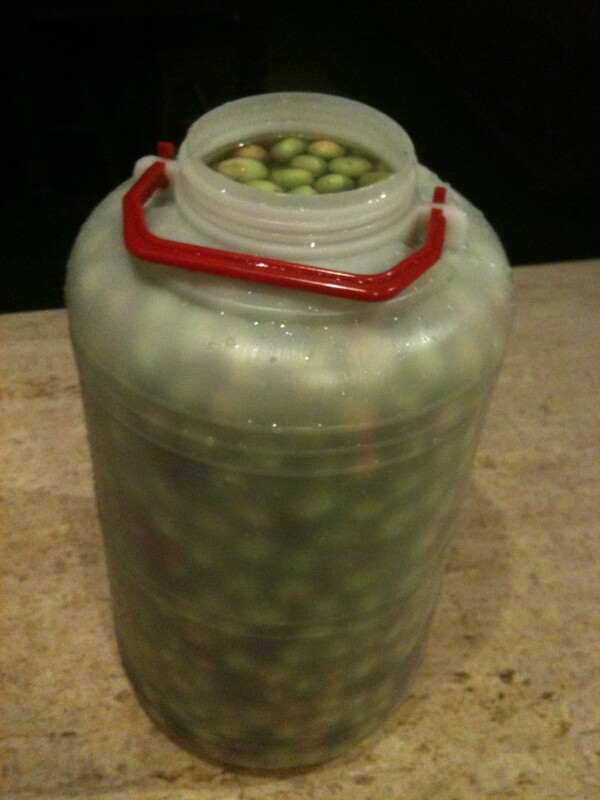 They were washed then put in a large jar, filled with clean water. We will leave them in here, changing the water daily, until they can be eaten without tasting bitter, some say a week – I say more like 4 weeks. After this curing time, I will bathe them in spices, and salted water, and some special few, will be put into the our 0live oil a little honey, a squeeze of orange, cumin & bay. These will be enjoyed at Christmas with our Jamon –Deliciosos. 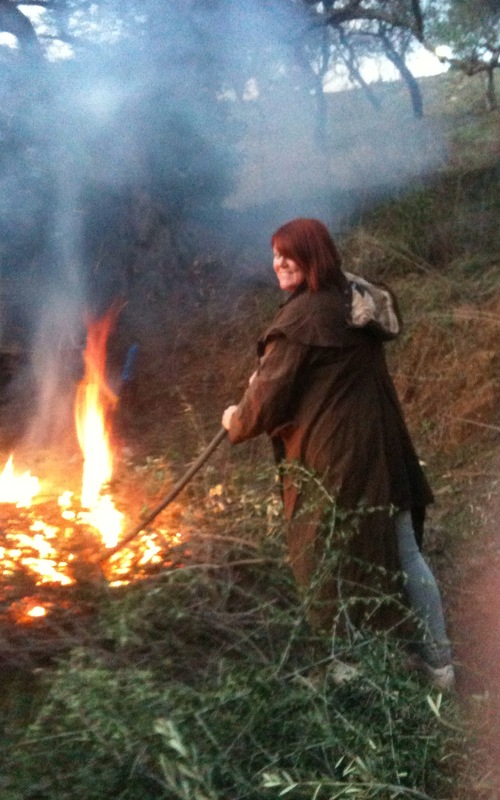 So with olives curing, and trees pruned – We only hand to clear the debris and prunings, so after the week-ends rainfall, we set to our annual bonfire. 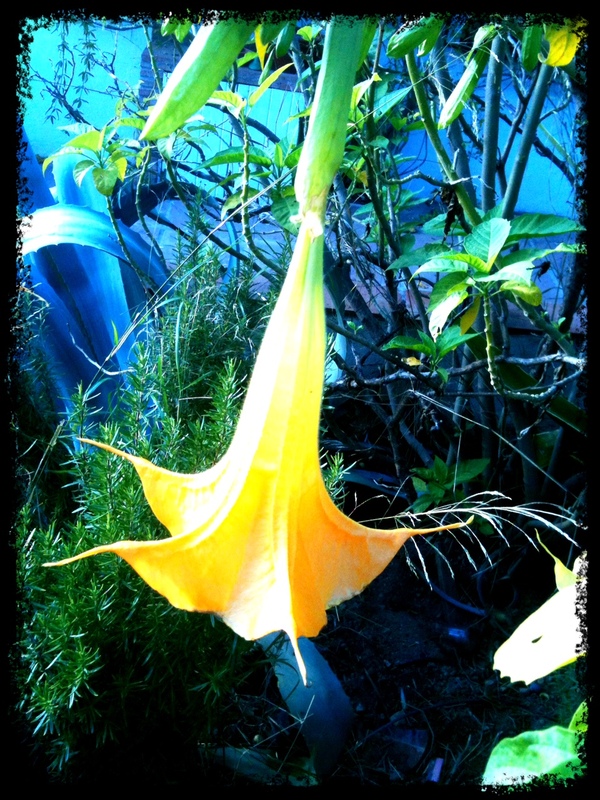 A sense of Hunter gatherer all around.